One hundred miles is a long ways, a long way for things change. Does it really matter who is leading at 20 miles in a 100 mile race? That depends. 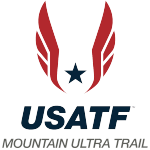 The 2015 USA 100 Mile Trail Championships took place this past Saturday as part of the Rocky Raccoon 100. The course consists of five 20 mile loops. The terrain is gently rolling with little elevation change and soft, mostly nontechnical footing. The predawn start saw cool temperatures around 43 degrees and cloudy skies. The mass of headlamps headed off at 6:00am, with the front of the field setting a quick pace. Both the top men and the top women came through loop 1 with 20 miles completed at a blistering pace. Twenty-three year old David Kilgore led for the guys, over 10 minutes ahead of the main group of guys. Forty-one year old Paul Terranova came through the first loop 14 minutes behind Kilgore. Nicole Studer and Liza Howard came through loop 1 together just behind the main group of top guys. David Kilgore would continue to hold a significant lead through loop 2, coming through forty miles 22 minutes ahead of second place. Several guys were beginning to fade back with some still holding steady. Loop 2 saw Studer begin to pull away from Howard, Melanie Fryar, and the other women. Getting through loop 3 and 60 miles would prove to be key to going the distance. Temperatures were rising to low 60s under cloudy skies in comfortable conditions. Kilgore was now out along with several others who were out fast and at the front early. The lead of the US Championship was now held by Sam Skeels followed by Peter Hogg, Ronnie Delzer, and Paul Terranova who was 6:30 back. Studer was becoming a one woman show at the front of the women’s race. Loop 4 would see Skeels still holding onto the lead for the Championship, but now Terranova had moved up to 2nd and only 1 minute back. Delzer had now taken over 3rd. Studer was kind of making this dull on the women’s side as her lead was growing and growing. Now the question was would she set a record for 100 mile trail, so maybe not so dull. The fifth loop would have Terranova take over the men’s lead by the 83 mile mark. As darkness began to set in and runners pulled their headlamps, Terranova and Studer would be enjoying the darkness more than anyone. Paul Terranova of Austin, TX crossed the finish line in 14:05:17 to claim his first national title. Terranova commented that patience was critical to his performance. The early miles were all about covering distance and focusing on his own race plan. Sam Skeels of Adrian, MI held tough to claim the silver medal position in 14:11:40. Ronnie Delzer of The Woodlands, TX took 3rd in 14:15:53. Terranova was also the men’s Master champion with Nathan Leehman of Charlotte, NC 2nd and Joshua Finger of Spring City, PA 3rd Masters. Nicole Studer’s steady running away from the women’s field led to her second national title to go along with her one she won here at the 2014 event. 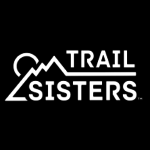 This year Studer of Dallas, TX would run 1 hour and 22 minutes faster to finish in 14:22:18 – a new American 100 mile trail record. Studer said the record had not really been a consideration before the race. During the race she was unaware that the record was in reach until the last loop. Studer commented that she doesn’t wear a watch during races and just runs on feel. That feel on this day would be the new American record. Liza Howard of San Antonio, TX finished 2nd in an excellent time of 15:34:34 and would claim the women’s Master title. Melanie Fryar of San Antonio, TX rounded out the podium for the women with a 16:17:25. The 2nd and 3rd women’s Masters were Jennifer Pfeifer of El Dorado, CA and Karen Roberts of Amarillo, TX. On the men’s side, Ian Sharman, an Englishman, won Rocky Raccoon 100 and Marco Bonfiglio, an Italian, took 2nd. As they were not US citizens, they were not included in the USA Championship results. Terranova came in 3rd in Rocky Raccoon 100. 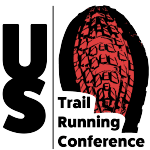 Complete results can be found on the Tejas Trails website.